The Miss Tibet Pageant 2013 was held in Bylakuppe India from 10 to 13 February. The pageant has been held for ten years in Dharamshala since 2002. The Miss Tibet Pageant 2013 was held in Bylakuppe India from 10 to 13 February 2013. The pageant has been held for ten consecutive years in Dharamshala ever since it was started in 2002. Since most of the Tibetans in exile live in South India, it was deemed important to bring the pageant there so that people there can share and experience this one of the most awaited Tibetan event. Tenzing Lhamo was crowned Miss Tibet 2013 on 13 February 2013, in Bangalore. Read more about Tenzing Lhamo. BANGALORE, India, 14 February 2013, Lobsang Wangyal Tenzing Lhamo gave a moving speech in both Tibetan and English accepting the title. highlighting the ongoing wave of self-immolations in Tibet. 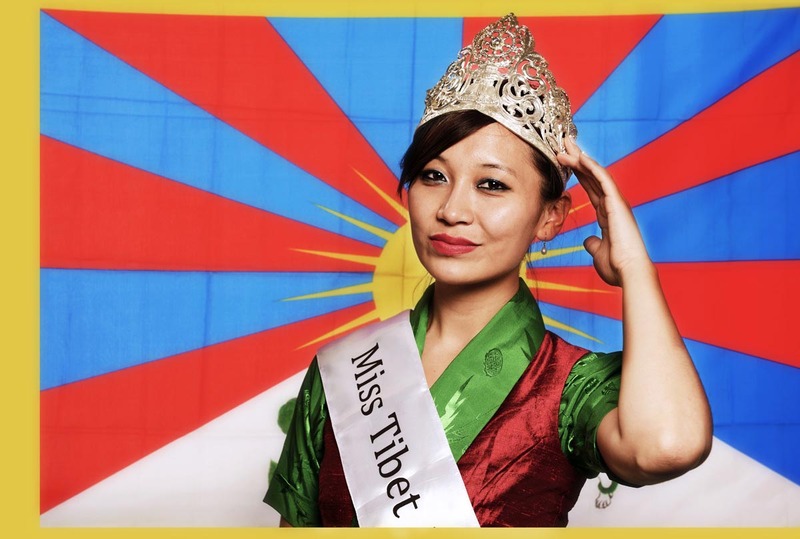 BANGALORE, India, 13 February 2013, Lobsang Wangyal Tenzing Lhamo, from Madison, US, is the new Miss Tibet 2013, a humanitarian and activist dedicated to work for the cause of a free Tibet. BANGALORE, India, 5 February 2013, Lobsang Wangyal We received only one application to be Miss Tibet by the deadline, and she will be crowned Miss Tibet on 13 February 2013 in Bangalore. 11 March 2013, MCLEOD GANJ, India When such dire conditions plague my land, I cannot think of using my title for self-endeavours. 14 February 2013, ON THE WEB Tenzing Lhamo, a U.S. resident and the contest’s lone participant, was crowned Wednesday during a brief ceremony in Bangalore, India. 14 February 2013, BANGALORE, India Ongoing protests and self-immolations of many Tibetan protesters were among the reasons for lack of enthusiasm for the Miss Tibet Pageant this year. I wish Miss Tibet 2013 well. But [the simple fact is] [in my opinion] you cannot have a “contest”, “contestant” or “winner” with only one participant. [I feel that] if you can’t get at least two girls on stage then the function should be cancelled for that year. Otherwise it [seems like] a sham. [It looks to me like t]he young women of Tibet voted with their feet and [i feel that they] should have been listened to.